Major Adrian Dingli. Right: Dino Grandi. 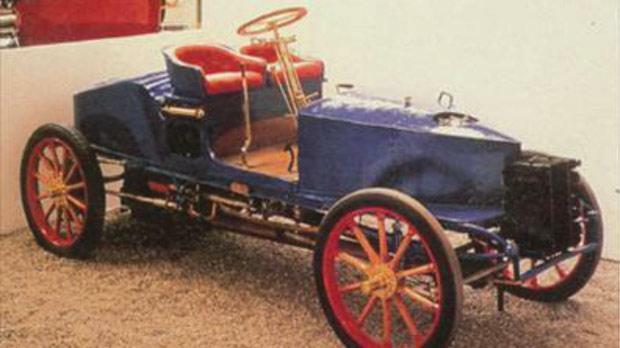 A Gardner-Serpollet of the type driven in the Paris-Madrid Race. Sir Joseph Ball. Right: Sir Anthony Eden. The name Adrian Dingli is usually associated with Sir Adrian Dingli (1817-1900), the celebrated Maltese jurist who became Chief Justice. Just as famous is his son, Major Dr Adrian Dingli. Whenever Neville Chamberlain’s ap­peasement policy towards the Fascist regimes is cited, the name Adrian Dingli emerges as the Maltese-born legal adviser to the Italian Embassy in London. Dingli was born in Malta in 1881, the only son of Sir Adrian and Lady Dingli. He was educated at St Ignatius College, Malta, at the Jesuit College of Mondragone in Italy, and at universities in Rome and Malta. After graduating in law from Malta in 1905 and Rome in 1904, he practised for a time as a lawyer in Malta, residing at 3, Strada Forni, Valletta – Palazzo St Poix, the house where Lord Byron stayed when he visited Malta in 1809. Dingli passed the Bar at Gray’s Inn during 1912, later becoming a barrister in London and establishing a prestigious address at Brick Court off Middle Temple Lane. Here he befriended (later Sir) Joseph Ball, who was reckoned as one of the most shadowy but powerful figures in British intelligence from World War I until his death in 1961. The daring young lawyer un­der­­went his baptism of fire by taking part in the Paris-Madrid race of 1903. He drove a car powered by a Gardner-Serpollet engine accompanied by an American mechanic. It was no ordinary feat, because the carnage that followed the race became known as the race to death. The impact of the tragedy on public opinion was such that Gardner-Serpollet-driven cars were not allowed to return to Paris on their own steam, as not even the engines were allowed to be started. The 1,600-kilometre race had to be stopped at Bordeaux after 550km due to the several fatal accidents. The slaughter, caused mostly by the high speeds, did not frighten the young enthusiast in trying again because he continued taking part in other rallies such as La Targa Florio in Sicily and the Florence sprint, where he gained second placing. However, he was destined for daring challenges of another sort. During World War I, Dingli entered the ranks of the Royal Marine Artillery in 1914, serving at Eastney (Portsmouth) until November, 1916, when subsequently he was seconded for service under the Minister of Munitions. He was decorated Officer of the Order of the British Empire in June, 1919, and promoted to major for distinguished services rendered during the war. He was later also honoured with Italian decorations, becoming a Commendatore in 1934 and Grand’Ufficiale dell’Ordine della Corona d’Italia in 1940. Dingli chose London as his base, though he maintained the right contacts in the right places in Malta. The Governor, Lord Plumer, expressed his confidence in Dingli, disclosing to the Chief Justice, Sir Arturo Mercieca, his preference for Dingli and Dr (later Sir) Ugo Mifsud as among the most qualified people who could make the new constitution function. Sir Gerald Strickland, to whom Dingli claimed he was related, described him as “a representative of all that is best in England”. Dingli was active in Malta’s cultural life and was chosen by Mercieca to contribute to Malta Letteraria. He was one of the earliest critics of Marxism in Malta, writing a treatise entitled Il materialismo storico. He wrote in the London Times about international diplomacy such as the power of ratification of Soviet treaties. At the height of Malta’s language question in 1932-1933, Dingli volunteered to act as mediator between the Nationalist government and the Governor. He met the Governor, Sir David Campbell, at the request of a common friend, Colonel Alexander Chesney Sceberras D’Amico Inguanez. At this meeting he repeated the case articulated by his illustrious father, Sir Adrian, that the best way to keep the Italian language active in Malta was to attack it. The argument did not go well with the Governor, who concluded that he was talking to an emissary of the Nationalist Cabinet. At the same time, Dingli had assured the Italian Ambassador to Britain, Antonio Chiaramonte Bordonaro, that he could not imagine that the language question in Malta could become a cause of friction in Anglo-Italian relations. While he acted as legal adviser to the Italian Embassy in London, Dingli was also consultant to the War Office in London as from 1922. This ambivalent position would earn him the reputation of running with the hares and hunting with the hounds – which would cost him dearly at the end of his life. On being told by Sir Herbert Creedy, the permanent under-secretary at the War Office (1920-1939), that his role with another government was incompatible with the War Office assignment, Dingli chose to work for the Italians. He cherished British institutions. His membership of the Carlton Club, where the British Empire’s movers and shakers met was testament to his Britishness. But he was also an ardent Italophile at heart. Dingli’s fame reached its peak after Sir Neville Chamberlain became prime minister in May 1937. Chamberlain believed that since both Britain’s economy and its military defences were weak, the best bet was appeasement to the Nazi-Fascist regimes to avoid war. His Foreign Secretary, Anthony Eden, believed that appeasement facilitated the possibility of war. Nevertheless, the British prime minister was determined to reach an accommodation with the Italian dictator, Benito Mussolini. Chamberlain not only had misgivings about his Foreign Office but also wanted to influence British foreign policy to suit his own abilities and judgement. He bypassed the British Em­bassy in Rome in his ap­proaches to Mussolini, using such conduits as Lady Ivy Chamberlain, widow of his brother Austen. He therefore preferred to rely on a personal friend, Major Ball, the head of the Conservative Research Office. Ball was described by Michael Dobbs, the Conservative politician and bestselling author, as Chamberlain’s thug and political twister. Ball was as ruthless a schemer as could be. He found in his old Gray’s Inn colleague Dingli a source of valuable contacts linking him to a circle which would lead to the Duce himself. On July 12, 1937, the Italian Ambassador in London, Count Dino Grandi, wrote a rather long letter to his Foreign Minister in Rome, Count Galeazzo Ciano, informing him of Dingli’s imminent secret mission to Rome. 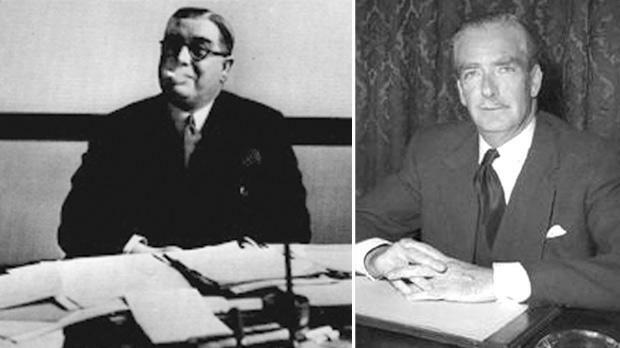 He described Dingli as the “legal adviser of this embassy and a Maltese patriot who has always stuck to the cause of Malta’s italianità, connected to the Carlton Club for many years, who was approached by Sir Joseph Ball, chief policy adviser to the Conservative Party and a very close friend of Neville Chamberlain”. 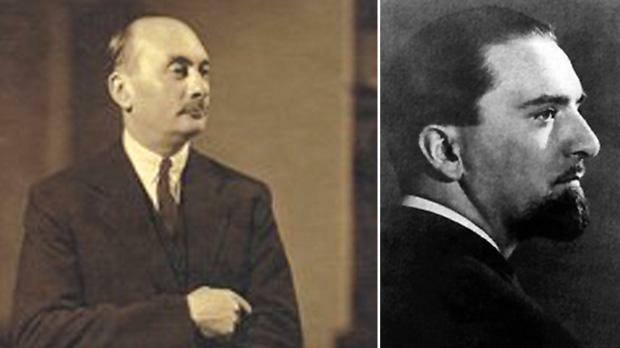 Ball had given Dingli a long speech on Chamberlain’s sincere desire to come to a complete understanding with Italy, working out cordial relations before initiating official steps through the Foreign Office. Grandi, however, revealed his secret agenda to Ciano: to sow discord between Chamberlain and Eden. Prior to the Rome mission, the Maltese diplomat met his friend, Capt. Olof Gollcher, on June 30, 1937, at the Temple in London. He had such an air of authority when he chatted with Gollcher that he transmitted to his friend Sir Harry Luke, the Lieutenant-Governor of Malta, Dingli’s pessimistic outlook about the British hold on Malta. Dingli added that in case of war, “Malta was going to be abandoned by the Fleet and that (using the first person plural referring to the British) we are only holding on to it to prevent anyone else getting it”. Dingli’s authoritative style encompassed the role of intermediary by acting as a plenipotentiary without actually being invested with such a role. He kept detailed records of the discussions he engineered in the quest for restoring Anglo-Italian relations prior to the Abyssinian crisis of 1935. The burning questions were: the aggressive press of both countries, the Mediterranean, the recognition of Italian sovereignty over Abyssinia and – most urgent for Britain – Italy’s direct involvement in the Spanish Civil War, which broke out in 1936. It was imperative for the British position that Italian volunteers be withdrawn from Spain. During the Czechoslovakia crisis in September, 1938, Dingli used the secret channel to foster the concern of the Hungarian government regarding the fate of Hungarian nationals in Czechoslovakia. The secret channel talks protracted while the Nazi menace continued to jeopardise European security. By the time Grandi met Chamberlain in the presence of Eden, Hitler had invaded Austria, thus extending its border to the Brenner Pass with Italy. Chamberlain’s biographer minimised Dingli’s secret diplomacy as just “scraps of information”. After the Austrian annexation, Mussolini had the option of which enemy to choose. Instead he chose an ally, Nazi Germany. Dingli was simply used to divert attention from Italy’s real intentions. What interested the Italians most was to exploit the divergences between Chamberlain and his Foreign Minister, Eden. In fact, Eden resigned and the Anglophile Grandi was replaced by a more dogmatic Fascist, Giuseppe Bastianini. Still, Grandi, after he became Minister of Justice, called his friend Dingli to Rome. From now on, the channel was to operate solely through him and Ball. Grandi reiterated that Germany was determined to go to war. He therefore advised the Maltese diplomat to find some cover for his frequent trips to Rome. Dingli chose that of a British film agent. While Hitler was rolling up the map of Europe, Chamberlain as late as April, 1940, was making a last-ditch attempt to mollify Mussolini. Dingli’s role did not go unnoticed by Colonel Liddell, a high-ranking intelligence officer. Dingli’s reputation as a man with powerful links with Rome had not waned in spite of a deteriorating geo-political situation as Dingli was reputed to have supplied Ball with details of secret clauses in the military alliance between Italy and Germany. The chief of British security services, Major-General Sir Stewart Menzies, snubbed Liddell for grilling the Maltese lawyer before his trip to Rome. Ciano recorded in his diary that Dingli impressed him as being of rather secondary importance. The die was cast. Italy invaded Albania on Good Friday, April 7, 1940. At that time, Ball met Dingli, telling him that “his master” was extremely angry. This dealt a death-blow to appeasement and Dingli’s links. Chamberlain’s days were numbered. After Chamberlain’s resignation on May 10, 1940, Ball survived, but Dingli’s pro-Italian inclinations turned him into an enemy. During the war, Dingli worked in a business in Bristol. Ball believed that his standing was hostage to Dingli’s scrupulous record of his secret diplomacy, as potential sensational disclosures about pre-war negotiations involving Ball could endanger his reputation. While Europe was celebrating Victory Day, the former diplomat became a victim of Ball’s in­trigues, implicating Dingli in wrongdoings in business. Dingli died unexpectedly, probably murdered, on May 29, 1945. Two days later, MI5, with which, according to some accounts (challenged by some historians), Dingli was previously associated, the British security agents seized his diary. Lord Avon recorded almost as an afterthought in his memoirs that the full story will probably never be known. What Ball and the secret service did not know was that there was a duplicate copy of the diary. In 1950, when the coast was clear, Dingli’s widow went to Lisbon where Grandi was living in exile and handed the duplicate copy. Dingli was an anachronism, a gentleman like his father. He struggled to balance his love for the country of his culture, Italy, with that of his home, Britain, never forgetting his Maltese roots. He genuinely believed in peace but gave a rather emotional input to his diplomatic mission, and was thus caught in the crossfire, becoming a victim of conflicting loyalties.